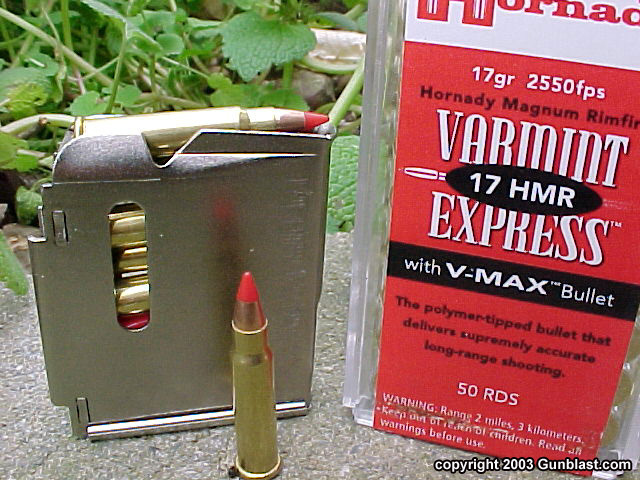 Since the introduction of Hornady’s new .17 caliber rimfire cartridge several months ago, the little hotshot has really caught on with shooters and varmint hunters. 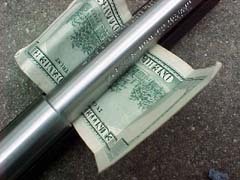 Besides Hornady, other ammo makers have now jumped aboard, and several companies are now making rifles chambered for the little seventeen. 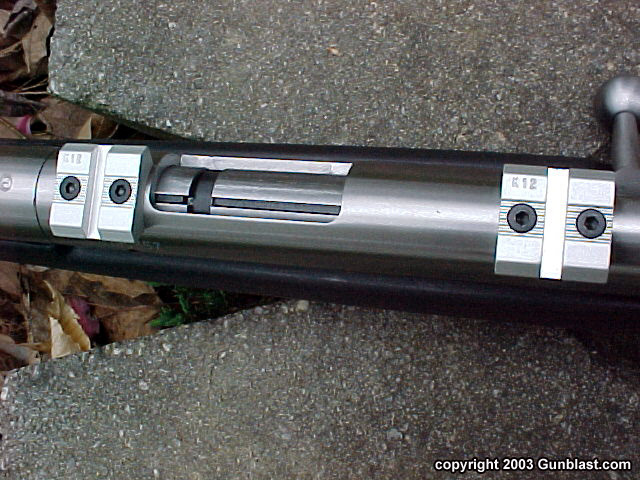 Gunblast has been a proponent of the seventeen since its introduction. 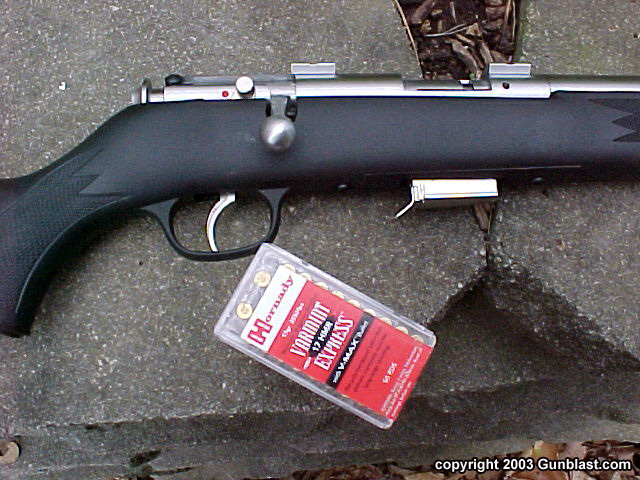 It has proven to be an accurate and flat-shooting cartridge, and works extremely well within its intended purpose. 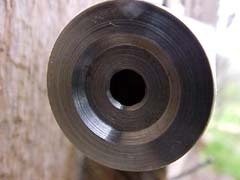 The nay-sayers who predicted that it would not catch on are now eating the crow upon which the .17 HMR is so effective. The little .17 is here to stay. 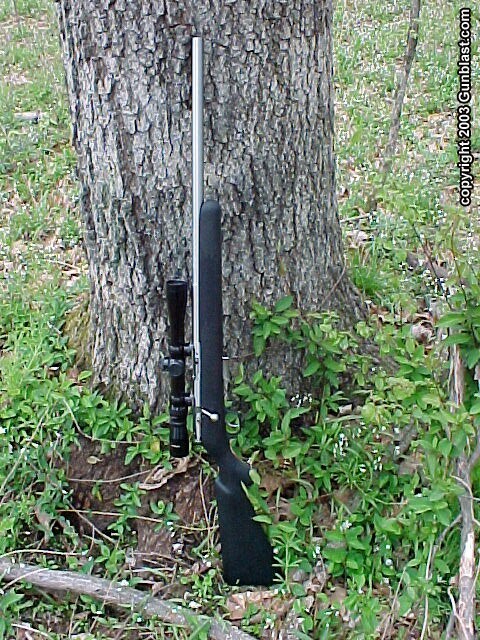 For the past couple of months, I have been shooting a new .17 HMR rifle from Savage Arms. Savage has committed its resources heavily to the new cartridge, offering nine different models from which to choose. The one sent to me for testing is the 93R17-FVSS, which is Savage-speak for a heavy barreled, stainless .17 with a synthetic stock. 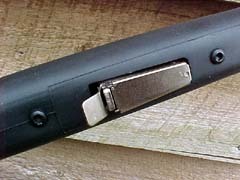 Upon unpacking the rifle, it was readily apparent that Savage knows the purpose for which the little .17 HMR is intended. The FVSS wears a heavy barrel void of open sights, and is equipped with real scope mount bases. Most rimfire rifles are merely grooved for lightweight tip-off rings, but Savage thoughtfully provides the FVSS with pre-mounted Weaver style scope bases, which are much better for mounting a full size scope sight. It would be great if every gun manufacturer would follow suit and do the same. 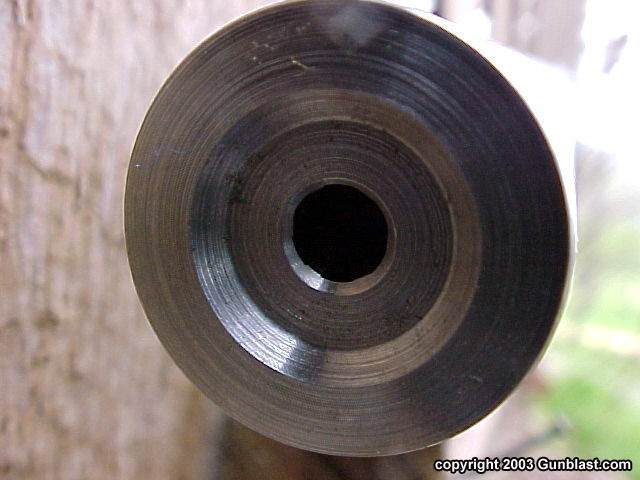 The twenty-one inch barrel measures .798 inch diameter at the muzzle, has a recessed target crown, and is rifled one turn in nine inches. 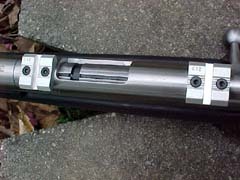 The button-rifled stainless barrel is free-floated into the black synthetic stock, and the gun has an overall length of thirty-nine and one-half inches. Weight is right at six pounds. 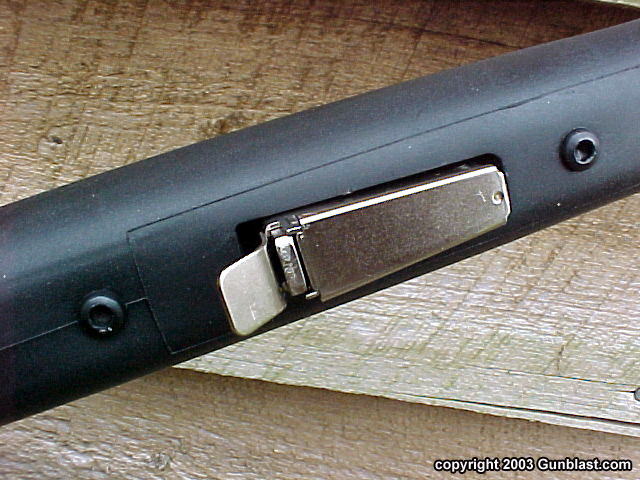 The Savage .17 has a five round magazine made of steel, which easily detaches for loading. The trigger pull on the FVSS measures between 3.37 and 3.86 pounds, with just a bit of travel before the sear is released. 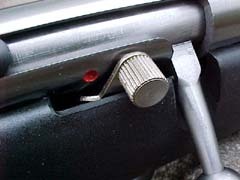 The manual safety is on the right side, just aft of the bolt handle, and is easily reached by the thumb of a right-handed shooter. 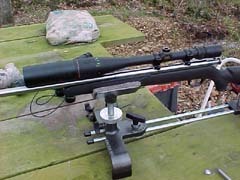 For accuracy testing, I mounted a Bausch & Lomb 6 to 24 power target scope. The range temperature averaged 71 degrees, with a gusty wind of between fifteen and twenty-five miles per hour. The wind really played havoc with the group sizes, opening some groups up to slightly over an inch. Most groups were between five-eighths and seven-eighths of an inch, and I gave up shooting for groups after a couple of hours. 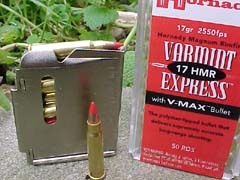 The FVSS functioned perfectly with the Hornady ammo, which was the only ammo available to me at the time. A few days later, I caught a calm windless morning and tried again to shoot the Savage for accuracy. This time, the little gun turned in a very good performance. Less than one-inch groups at 110 yards is good accuracy, but I thought that the Savage could do better, and the second range session proved that to be the case. With no wind blowing, the FVSS averaged under one-half of an inch at 110 yards, with most groups holding around four-tenths of an inch, when I did my part. The 93R17-FVSS has a suggested retail price of only $261, but in the real world sells for even less. This is a real bargain for a new .17 HMR with the features and accuracy of this rifle. 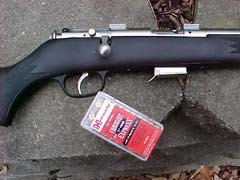 Check out Savage’s entire line of rifles and handguns online at: www.savagearms.com. Savage makes some of the most accurate and dependable rifles in the world, and the 93R17-FVSS is another feather in their cap. 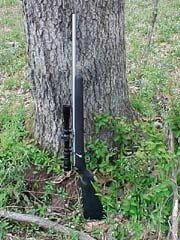 Savage's Model 93R17-FVSS is a well-designed and superbly accurate rifle chambered for the excellent .17 HMR cartridge. 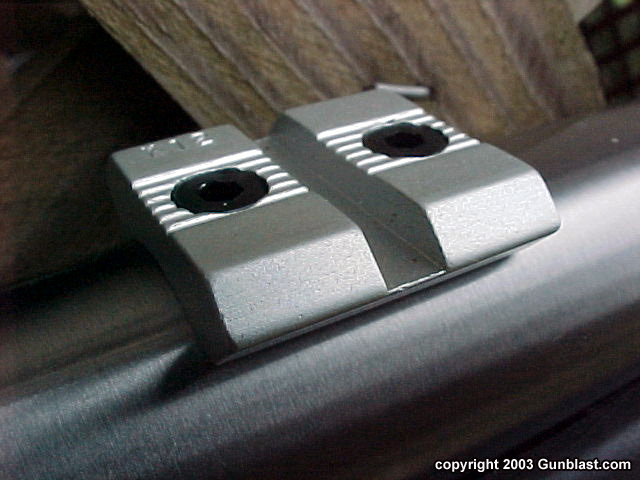 The Model 93R17 comes equipped with Weaver-style scope mount bases installed. Other makers should follow Savage's lead in this regard. 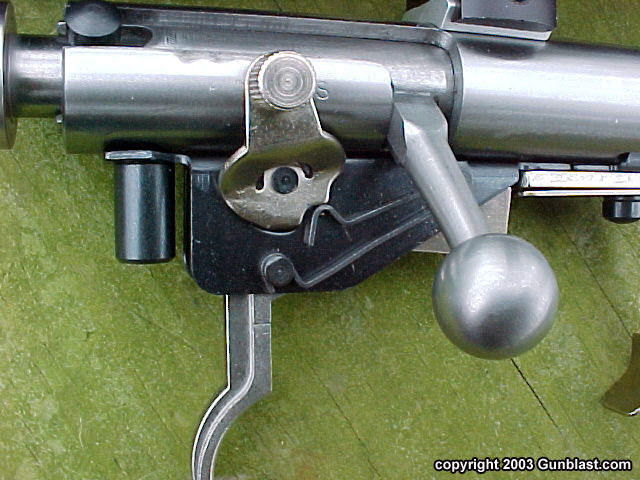 The manual safety lever is very well-positioned for a right-handed shooter. The Model 93R17 features a rugged & reliable 5-shot detachable steel magazine. Also featured is a cocking indicator for added safety. The well-designed trigger group allows for a creep-free trigger pull in the 3-1/2 pound range. 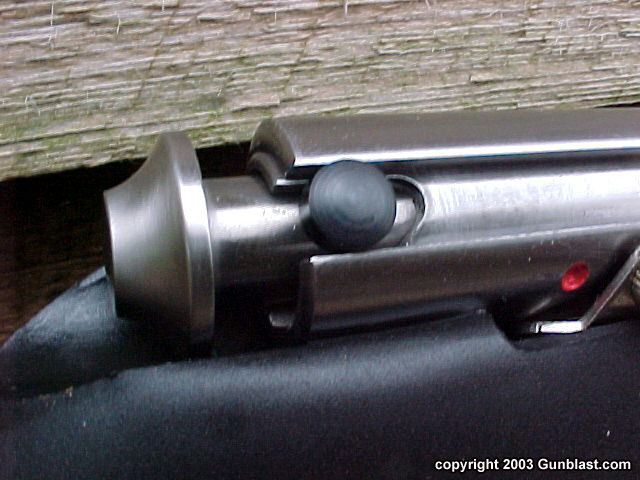 Accuracy is aided by a fully free-floated button-rifled barrel and target-crowned muzzle. Speaking of accuracy, the Model 93R17 has it in spades! 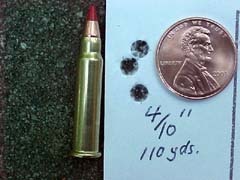 4/10" 110-yard group shown here represents the norm on a calm day. AVERAGE group size was only 1/2"! Savage has proven time and again that they make some of the most reliable and accurate rifles available in today's market, and the Model 93R17 is certainly no exception. 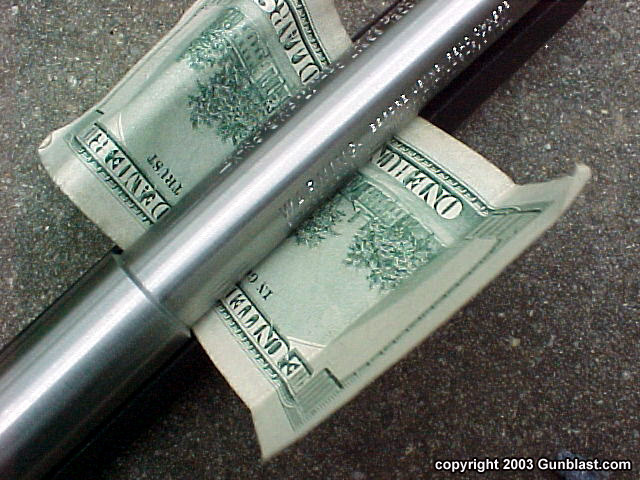 This attractive and practical rifle represents an extraordinary value for the shooter's dollar!